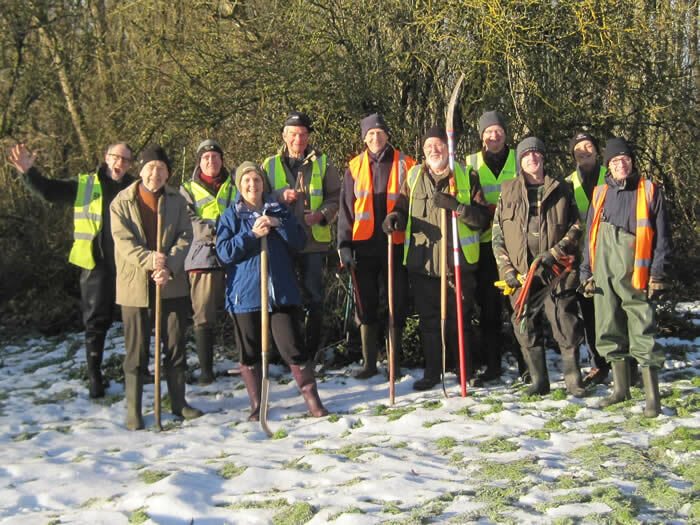 The Ver Action Group First X1 prepare for action on the Ver near the Chequers Pub in Redbourn. The December snow did not deter these hardy souls. Our new Ver Action Group Co-ordinator, Richard Wallis is fourth from the right.